In the process of scraping the webpage data, we may encounter the situation that the IP is blocked by the website. At this time, we can enable the proxy to switch the IP. 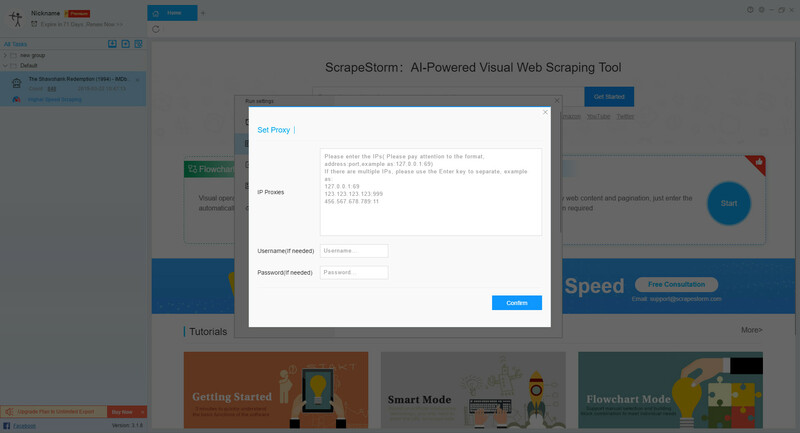 ScrapeStorm currently supports custom proxy, you can manually input IPs to switch. You can also set username and password if needed. (1) Switch Interval: You can set the proxy to switch every 1 minute, 3 minutes or 5 minutes. P.S. Switching by time does not mean that the IP is switched when the time is up, because the operation of the webpage (such as opening a webpage or clicking a button, etc.) requires a loading process. After the previous page operation and before the next operation, the webpage needs load and display the content. If the set time interval has been reached, the proxy IP will not be cut at this time, because switching the proxy IP will cause the current page content to change, so even if the set switching time has arrived, the software You still need to wait until the next page operation before switching the proxy IP. (2) Appears the text: You can enter text as the switching condition. 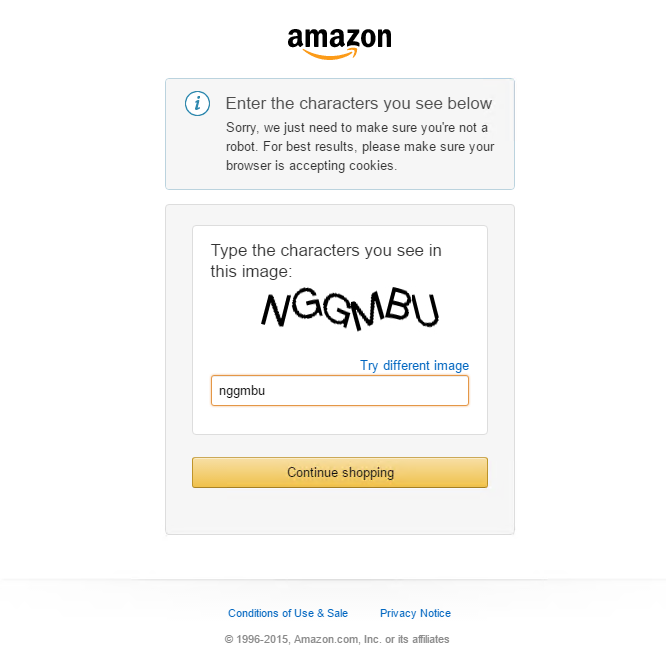 For example, if you set the switching condition to “Type the character you see in this image”, the proxy will be switched once the corresponding text appears on the page. P.S. When setting the switching condition to text, the proxy IP will be switched only when the text is completely matched. If the text changes, it will not work, so this setting can only be used when fixed text appears every time it is reversed. Sometimes the anti-climbing hint in the page is not a text, but a picture. In this case, using text as a switching condition is not appropriate. There are no advantages or disadvantages between the two handover conditions. You need to debug according to the characteristics of the website to achieve a higher cost-effective ratio. 1. Why can’t I buy a proxy IP? IP Rotation is an advanced feature and is only available to users of the Professional Plan and above. 2. How long can I use the proxy IP I bought? The proxy IP is used according to your setup conditions. The setup conditions are different and the speed consumed is different. 3. Can proxy IP be used for monthly subscription? 4. Is it possible to permanently scrape the high-strength anti-crawling website after purchase? Blocking IP is a conventional anti-crawling method. After you purchase proxy IP, you need to debug according to the characteristics of the web site to achieve a more stable use. In the actual use process, some high-strength anti-crawling websites may change the anti-crawling technology at any time. 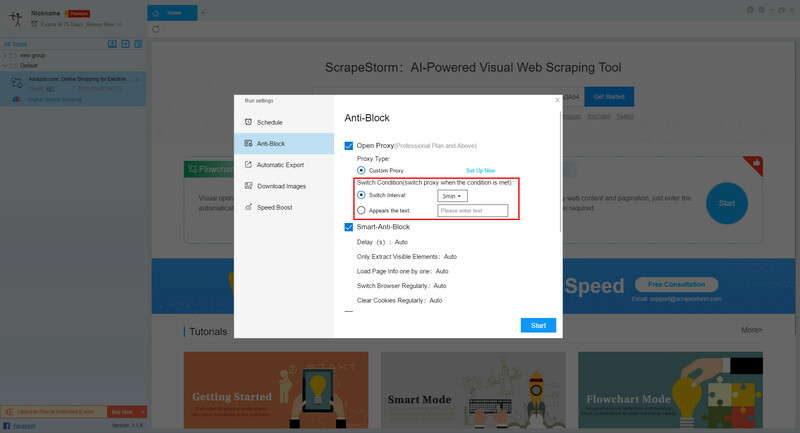 At that time, the existing anti-block technology of ScrapeStorm may temporarily fail. We promise to do research and technology upgrade in time, but we do not promise to solve it before a certain time. If you want to permanently and steadily scrape high-strength anti-crawling website after purchasing it, please do not buy.